These small square earrings from the Roberto Coin Pois Moi collection pack a mighty fashion punch! 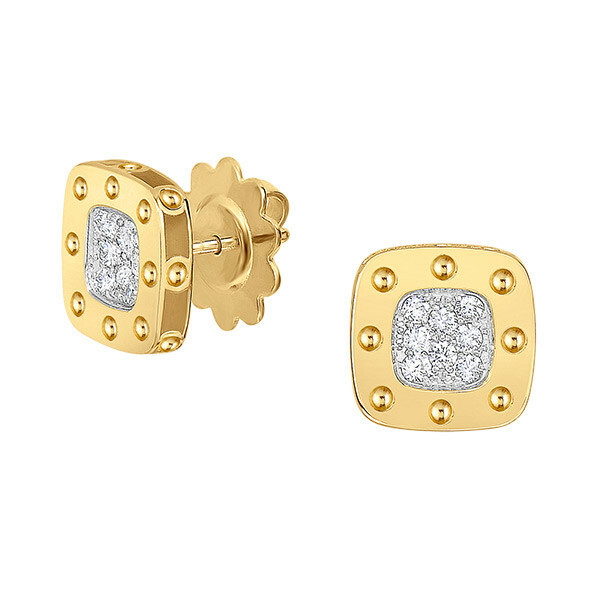 Crafted in 18kt yellow gold, the studs resemble the retro-style of the 1950s TVs, each with a beautiful square of diamonds that shine brightly. Small divots surround the gemstones and rim of each earring, giving the pair a glamorous style. 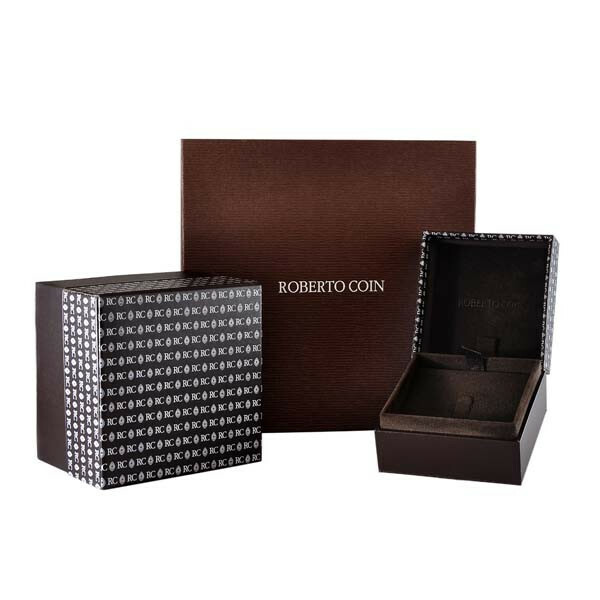 With post backings, these stud earrings from Roberto Coin will light up your wardrobe and your life.